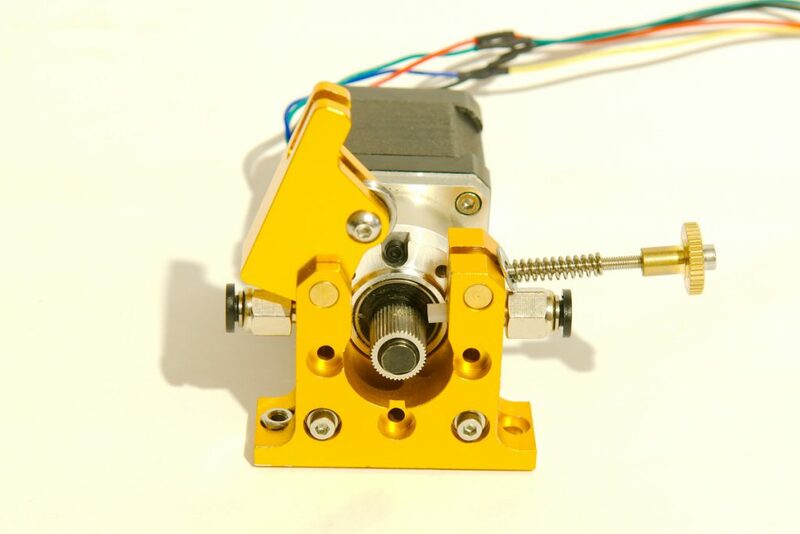 Some time ago I wanted to buy a mearm from Phenoptix in the UK, unfortunately or maybe lucky for me it was out of stock. 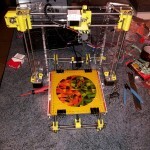 A little while later I bought a Prusa I3 3D printer. While browsing Thingiverse I stumbled on the mearm. 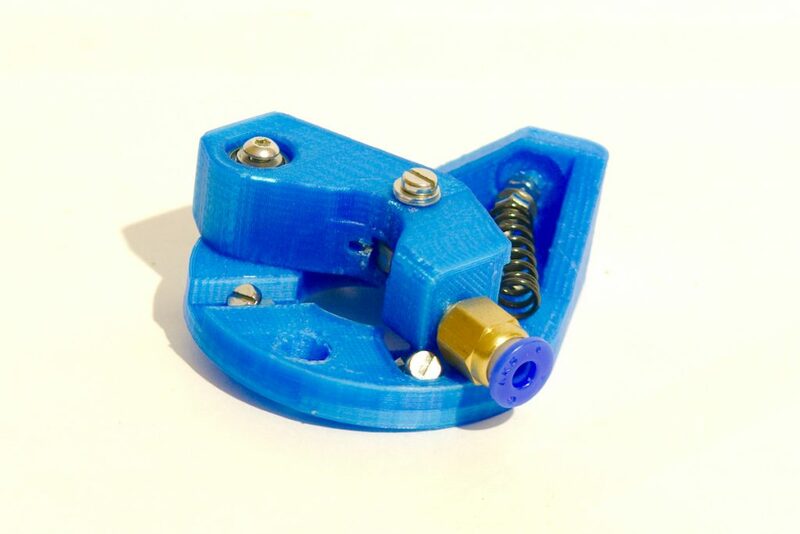 Someone had converted the original mearm files to stl files so it could be 3D printed. 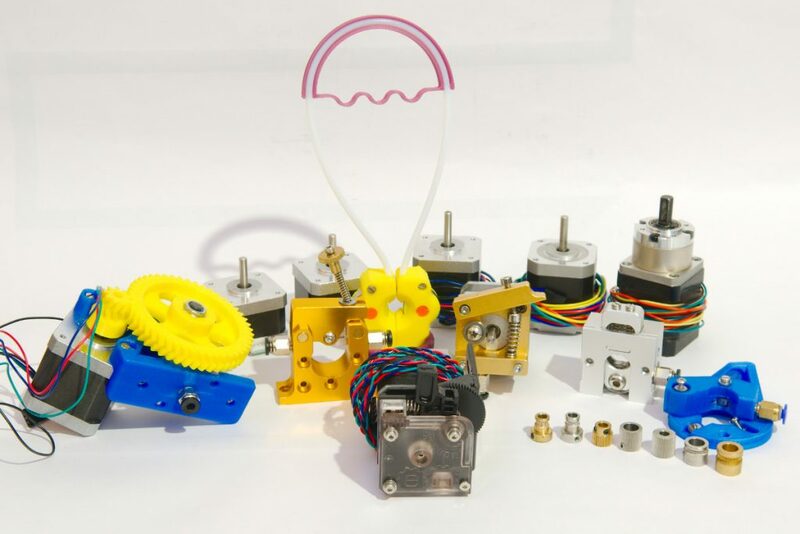 I downloaded the files and started printing the 20+ parts that make up the mearm. 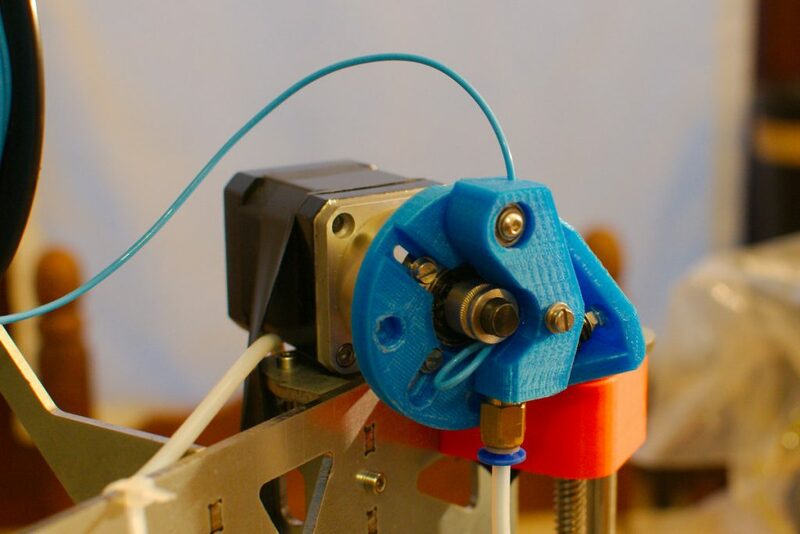 While printing the mearm I quickly came to the conclusion that the design is not really suited for 3D printing. 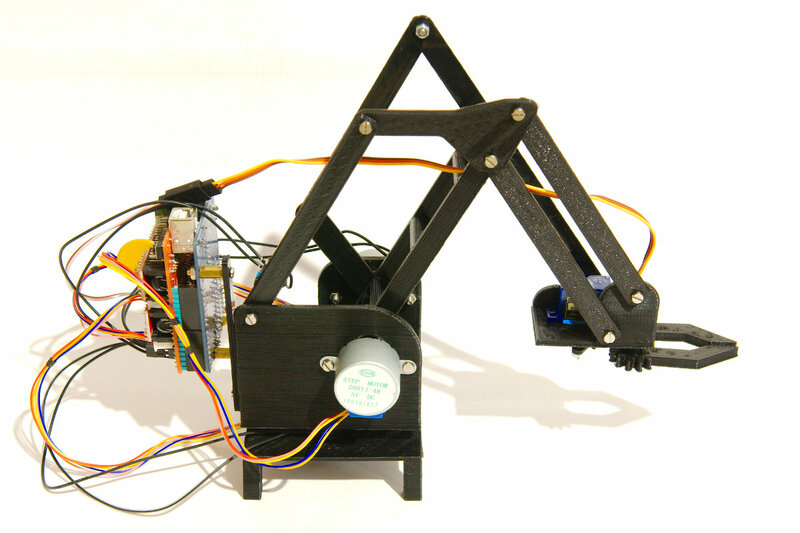 The original mearm was designed to be laser cut. 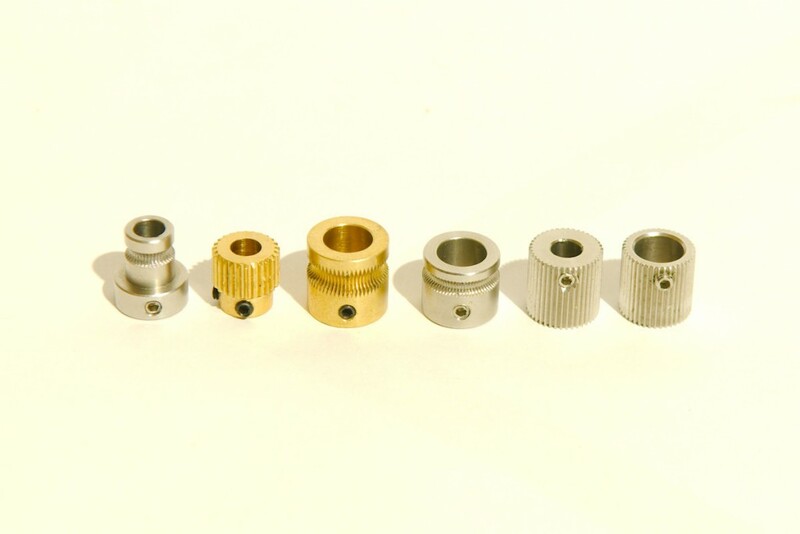 Those machines are very accurate, the design relies on that accuracy. 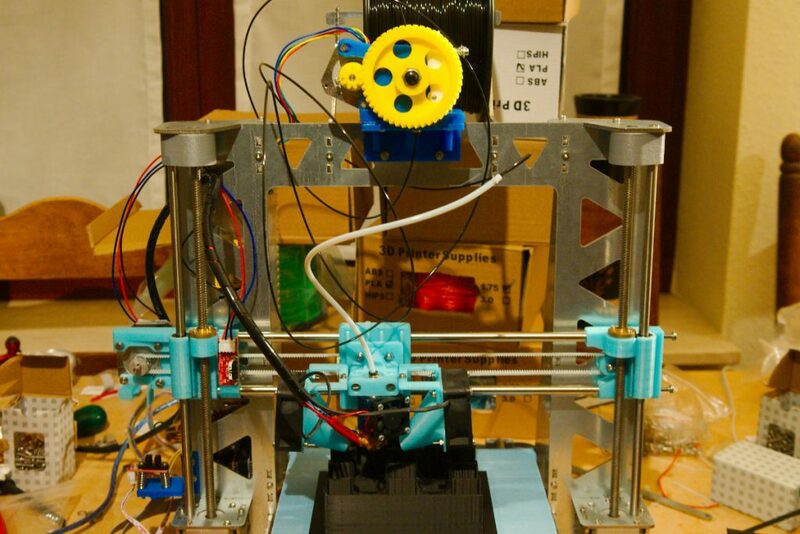 My 3D printer was not very well calibrated at that time and I was (still am) a rookie at 3D printing. While I managed to print a working mearm I have to confess that I spent hours filing and cleaning up the parts to make them fit. I hate cleaning up 3D printed parts. Since I was not very happy with the original design I decided to make my own version. 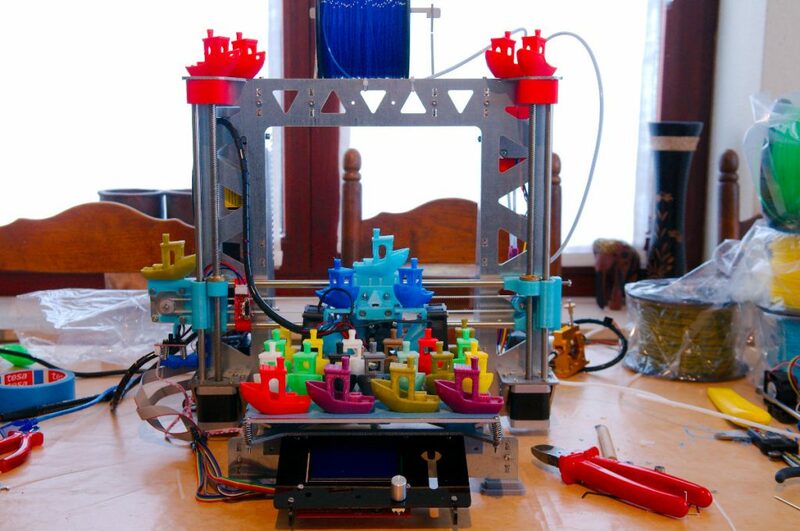 Goal was to make it much simpler to print, less pieces that don’t need to be so accurate to fit together. 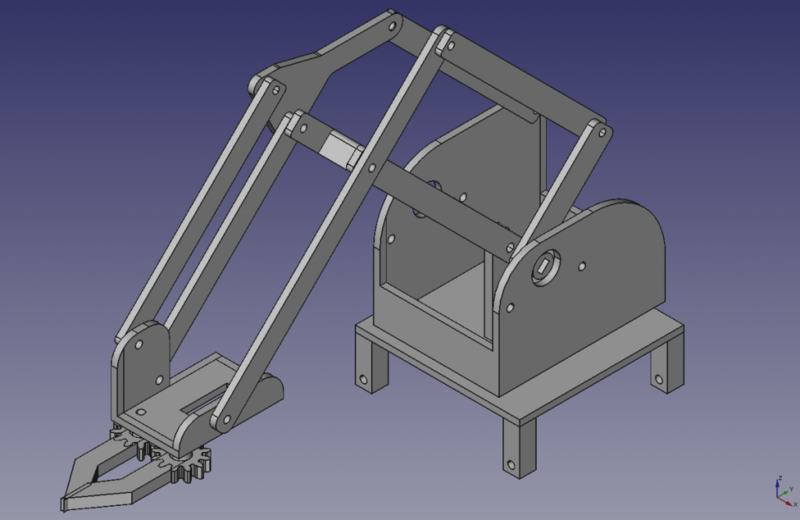 I used freecad to design my robot arm. Long time ago I used Solidworks at work and freecad is a bit similar in workflow. Did not take me long to design the arm. My mearm is a little bigger then the original version. 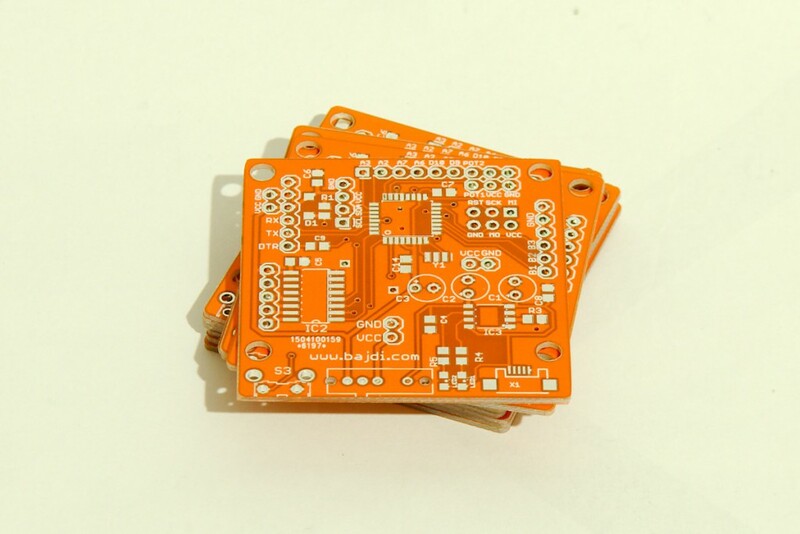 I recently found some cheap 28-byj-48 stepper motors that are rated at 12V (1.48$ @ Elecrow). 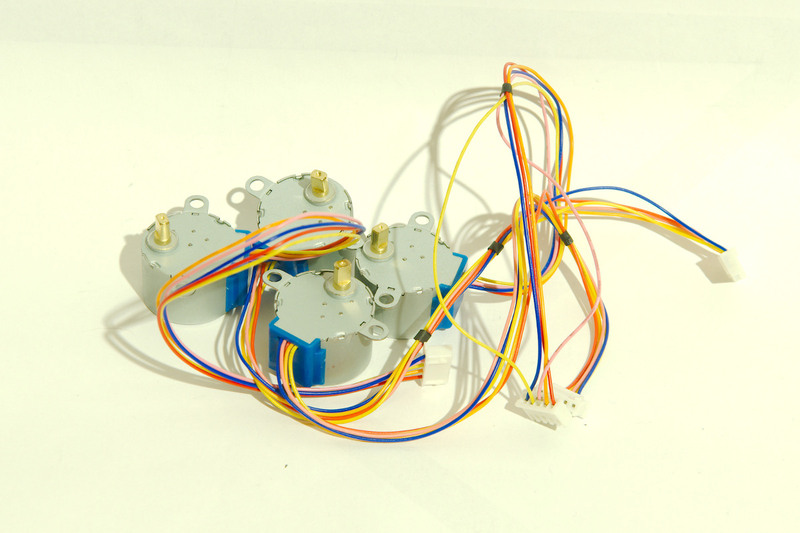 So I decided to use those stepper motors instead of servos. 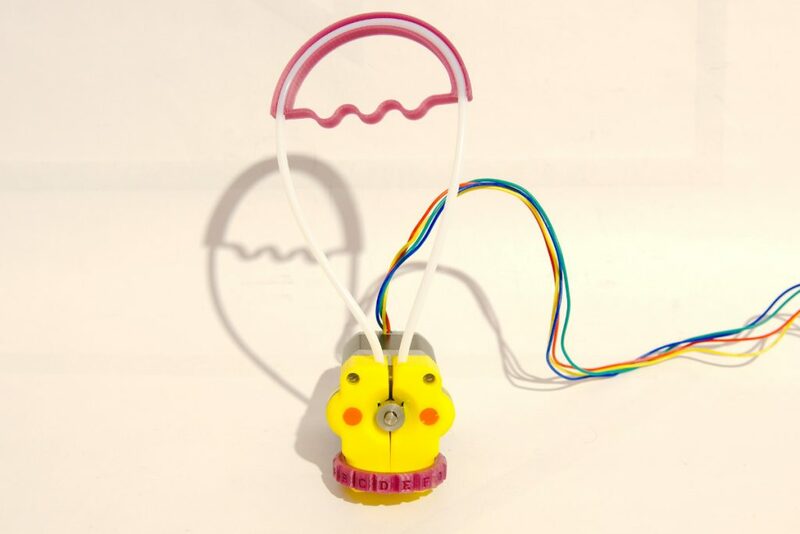 I only use a servo for the gripper. 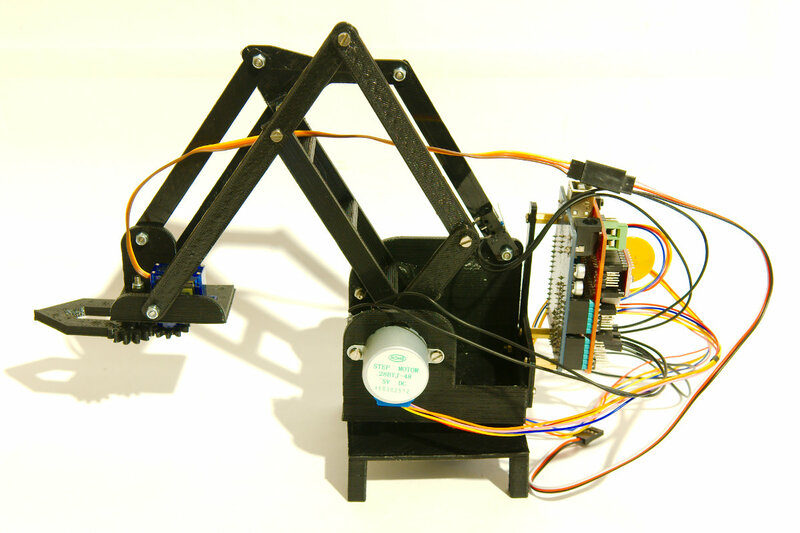 The original mearm design uses a lever attached to a servo to control the gripper. I don’t like the design, and came up with a better solution. I’m using 3 gears to open/close the gripper. 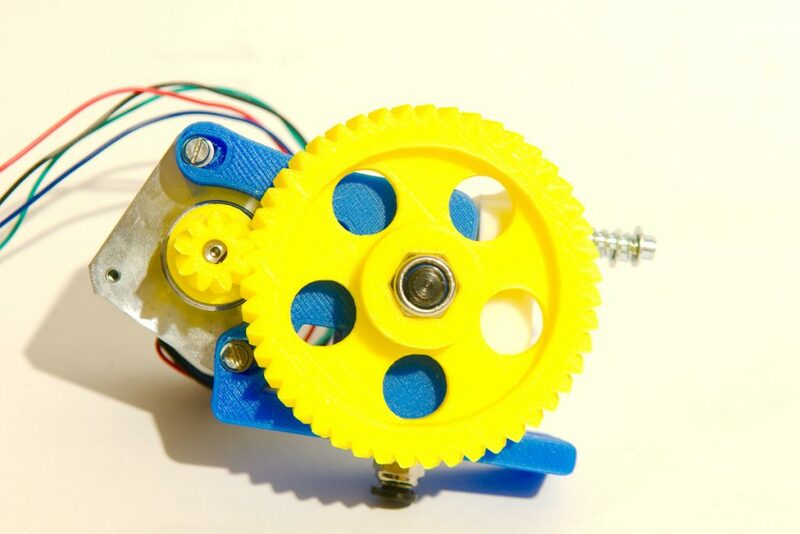 One small gear is attached to the servo, 2 bigger gears are part of the arms of the gripper. It works pretty well, quite happy with the design. 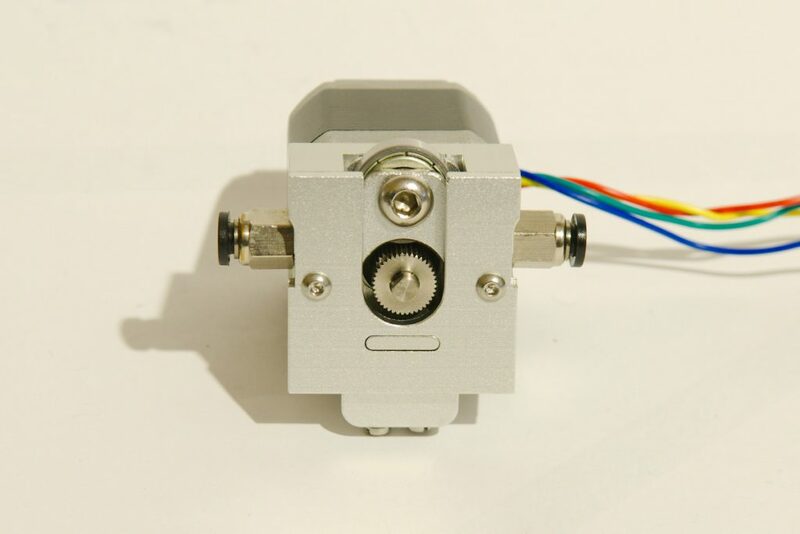 To control the 3 stepper motors I’m using an Arduino with a CNC shield (less then 5$ @ Electrodragon) . 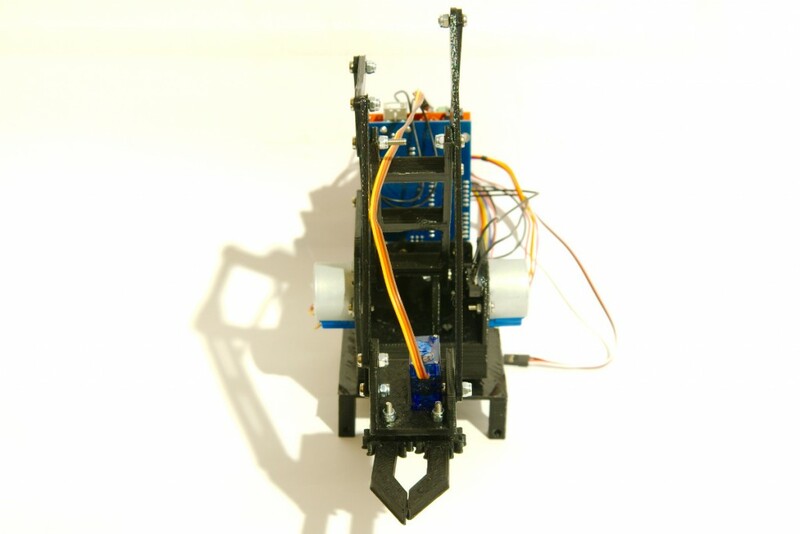 The shield has 3 Allegro a4988 stepper drivers and is plugged in to an Arduino duemilanove. The gripper servo is powered of a small UBEC as the regulator on the Arduino didn’t like powering it. I also hot glued 3 mini limit switches to the arm. 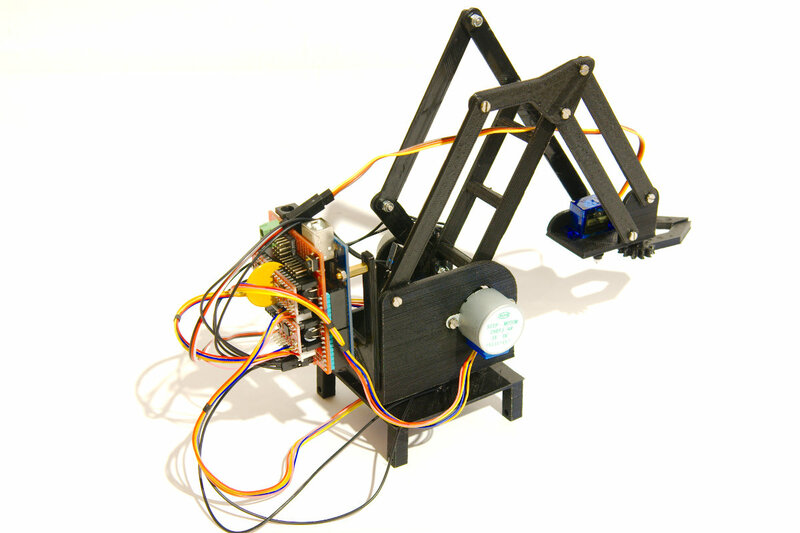 I am now trying to convert the IK code for the original mearm that uses servos to work with my stepper motors. I’m using a timer2 interrupt to step the motors. 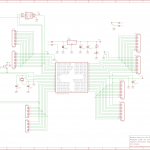 I’ve written some basic simple code for the stepper motors so I can control them like a servo. 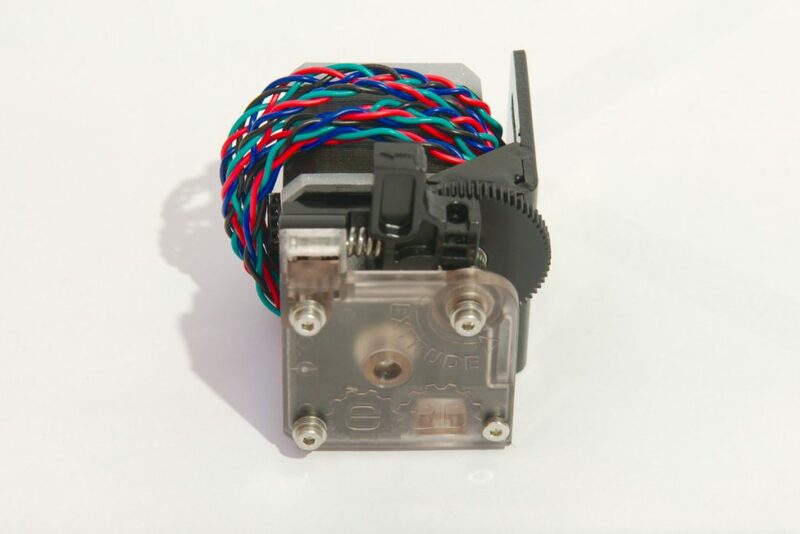 When the Arduino starts up it will run the stepper motors against the 3 mini limit switches to “home” the motors like a 3D printer, that way I have accurate control of the motors. The arm will never lift/move big loads as the little stepper motors don’t have that much torque. I have played with the current settings on the Allegro drivers. Turning up the current gives the motors a lot more torque but they become so hot that I’m worried that they will melt the PLA. 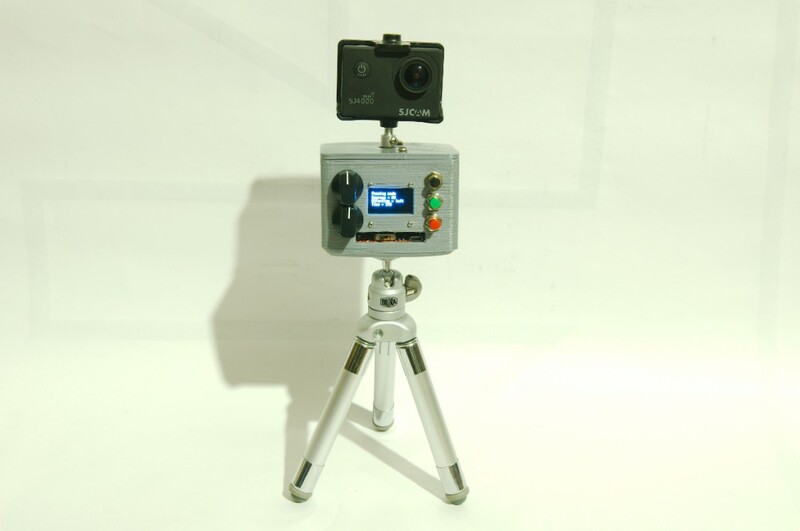 I own one of these small action cameras (SJcam SJ4000). I bought it because it’s small, and easy to take with you wherever you go. To make nice stable videos I mount it on a mini tripod. This got me thinking that it would be fun to have a little motor between the tripod and the camera to slowly pan the camera. That way I can make nice time lapse videos. 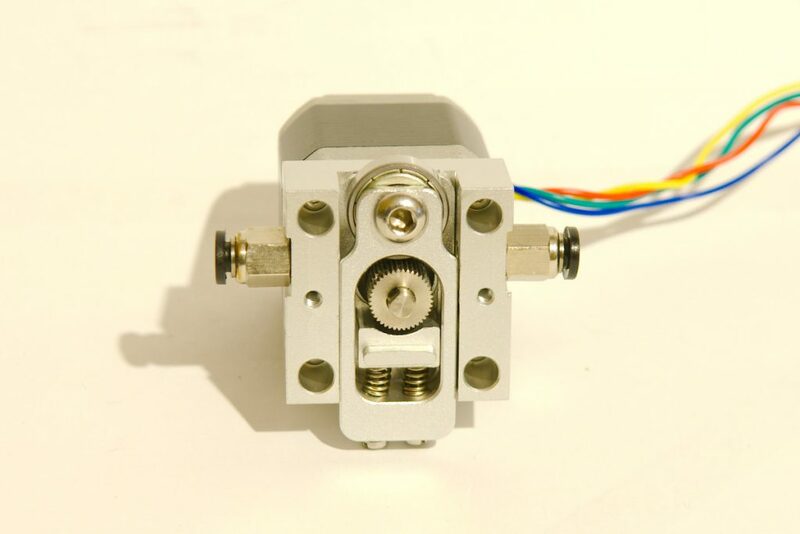 I happened to have a couple of 28byj48 stepper motors laying around, these little steppers motors have a gearbox and are 4096 steps for one rotation. They are pretty slow, so it’s ideal for this application. These motors are sold with a driver board that is basically an ULN2003 break out board. To control the motor I decided to use 2 potentiometers, one to set the speed/time and one to set the angle I want the motor to move. 3 buttons are used to start/stop and set different panning modes. I happened to have a small I2C oled display so I used that to display the settings. 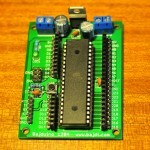 For a micro controller I used an ATmega328 with Arduino bootloader. I have programmed 3 modes which I can select with the top button. First mode is the manual mode, with the lower 2 buttons I can move the motor clockwise/counter-clockwise and with the bottom potentiometer I can set the speed. 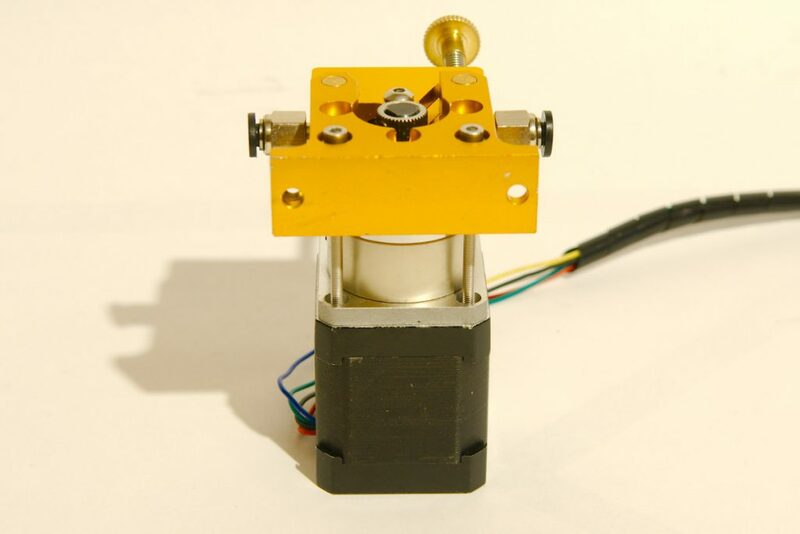 In the second mode the 2 potentiometers are used to set the angle and the time in which the motor will move. With the red button I can select the direction. The green button is used to start the panning. 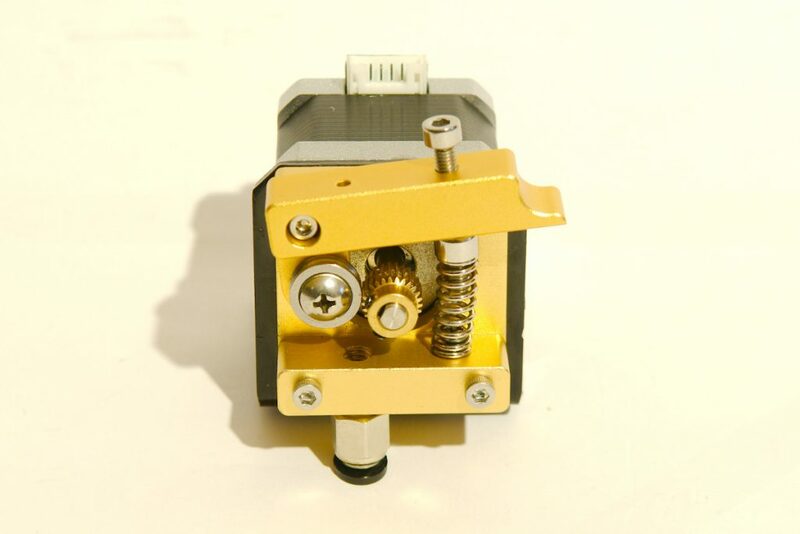 The third mode is similar to the second mode but in this mode the motor will pan the set angle and then return to it’s starting position. You can download my sketch here. 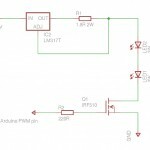 Soldering the ATmega328P-AU, ULN2003 and TP4056 was not to difficult. But I was not successful in soldering the tiny ceramic resonator to the board. After a couple of attempts I soldered a through the hole resonator to the pads. I should have just used the internal 8MHz clock of the ATmega328 and not used a resonator / crystal. I then started designing a box for my device in Blender. This was a bit harder then I thought. Blender has quite a steep learning curve. 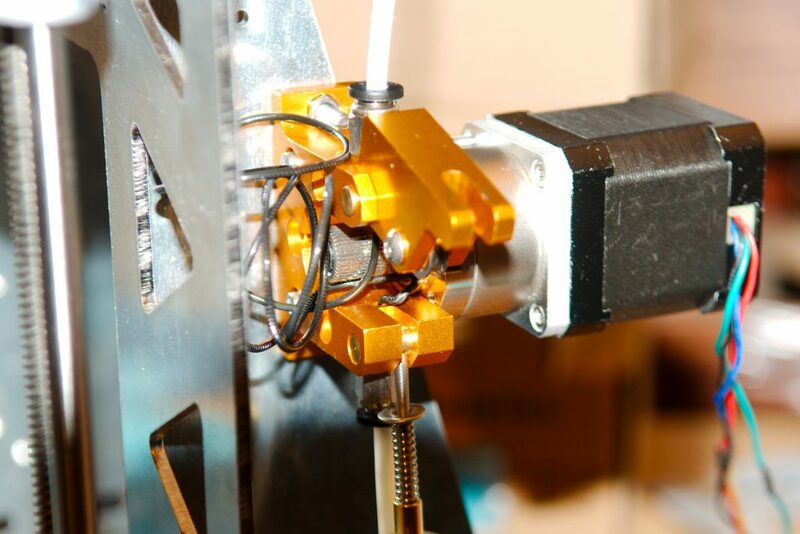 It’s not the easiest program to design accurate mechanical parts. I think I’m going to give up on Blender and have since installed Freecad. I then printed my box on my new 3D printer. The print is not the cleanest, I was still learning how my 3D printer worked when I printed it. I fixed the PCB to the box by using small self tapping screws. In the bottom of the box I glued a big nut that has thread that fits a tripod. 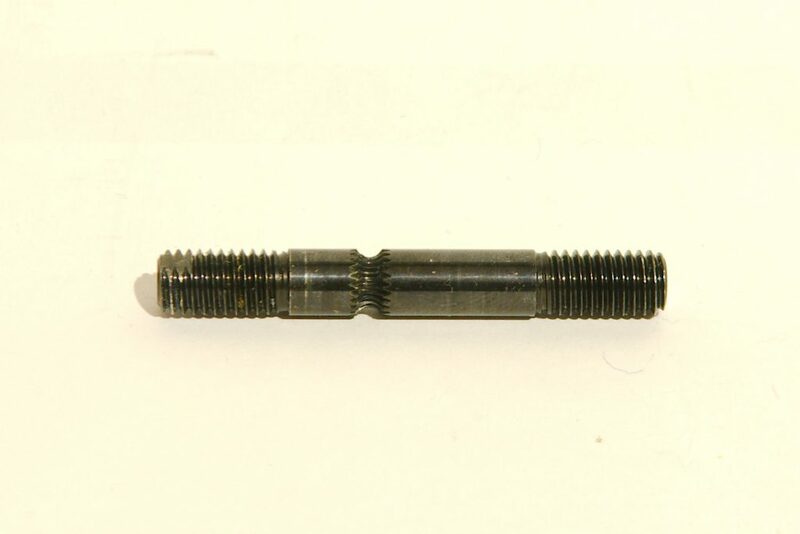 On the motor axle I attached a coupling with thread that fits in to a camera. A friend made it for me on a lathe.